"As I said in court, it's not in my nature to cheat -- and I would never do anything to risk my reputation." Phil Ivey is countersuing the Borgata claiming the casino destroyed a deck of cards used in baccarat edge-sorting. 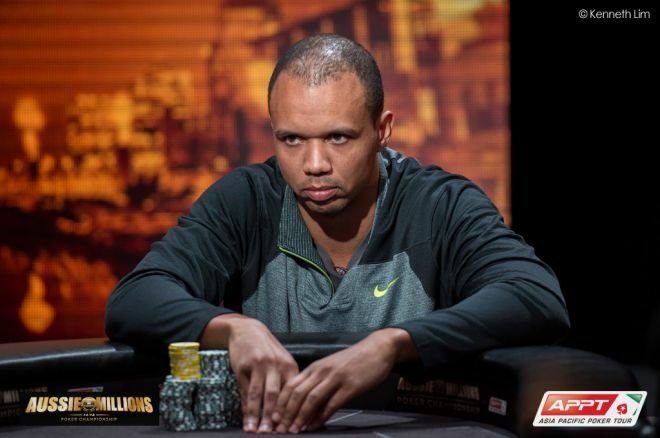 Phil Ivey has opted to file a countersuit against Borgata in $9.6 million edge-sorting case. In April 2014, Borgata Hotel Casino & Spa in Atlantic City, New Jersey sued Phil Ivey for $9.6 million after the ten-time World Series of Poker bracelet winner went on a huge winning streak by allegedly cheating in baccarat. Borgata claimed that with the help of Cheung Yin Sun —known as the “Queen of Sorts” — the dup used a method known as edge-sorting to create an unfair advantage. Ivey is now countersuing the casino, asserting that the lawsuit is frivolous. The original case filed by Borgata claimed that Ivey and Sun intentionally exploited a defect on the backs of cards from a purple Gemaco deck he specifically requested during four visits from April 2012 until October 2012. According to the countersuit, Ivey and his co-defendant claim the casino destroyed the decks of cards that were used during these games, and such cards are essential to his defense. "Plaintiff Borgata had a duty of care at all times relevant hereto due and owing to the defendants, to maintain, sequester and preserve the precise playing cards utilized by the plaintiff in each of the casino games patronized by the defendants from April through July of 2012," the countersuit states. "Plaintiff Borgata knew that those playing cards were critically material to Ivey and Sun's defense, and knew further that destruction of those playing cards would render the defendants irrevocably prejudice in defending against plaintiff's claims and in securing judgment against the plaintiff." Also, ESPN reports that the countersuit claims a Borgata casino representative acknowledged that the casino knew about cutting 'tolerances' in playing cards, that Ivey himself never physically touched the cards, and that it was not unusual for special requests to be granted by the casino to high rollers. The special request made by Ivey reportedly included using an eight-deck shoe of purple Gemaco playing cards, an automatic card shuffler, and a private playing area. These requests were granted after Ivey posted $1 million with the casino. Furthermore, his companion Sun, requested to the dealer in Mandarin for certain cards to be turned, which reportedly allowed her to identify differences in the cards and communicate beneficial information to Ivey. This isn't the only case involving Ivey and edge-sorting. In October 2014, a London High Court ruled in favor of Crockfords, a Mayfair casino that withheld Ivey's £7.7 million ($12.4 million) Punto Banco winnings, a form of baccarat, in 2012. "As I said in court, it's not in my nature to cheat — and I would never do anything to risk my reputation," Ivey asserted in a statement after the court ruling. "I am pleased that the judge acknowledged in court that I was a truthful witness by saying that, 'I am entirely convinced that Mr. Ivey did not consider that what he was doing was cheating.'" "As I said in court, it's not in my nature to cheat — and I would never do anything to risk my reputation." Regardless, Ivey was otherwise disappointed in the court's ruling at the time stating, "I believe that what we did was a legitimate strategy and we did nothing more than exploit Crockfords' failures to take proper steps to protect themselves against a player of my ability. Clearly today the judge did not agree." The High Courts' decision will be reconsidered in December after Ivey filed papers at the Court of Appeal in London in late 2014. PokerNews will have more on these court cases as they develop.